For owners of cats and dogs, fleas can be a real problem in the home. 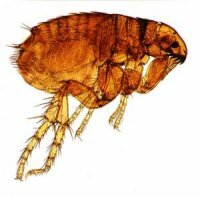 It is a staggering fact that only 5% of the fleas in your home are actually living on your pet; the other 95% can be in your carpets, in your furniture and even in your bed. This means that tackling a flea infestation isn’t as easy as giving your dog a cat a thorough clean. The reproductive nature of fleas means you must kill the ones living on your pet and throughout your house at the same time which can be a daunting task indeed. 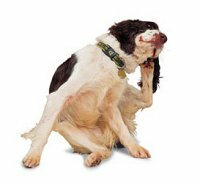 First, let’s take a look at why fleas are such a major issue. The wingless insects live as parasites of warm-blooded animals, that is your dog or you cat, and even yourself. Although they cannot fly, these tiny insects are capable of jumping at an acceleration of 130 times more than that of gravity due to the spring-like mechanisms in their body, so no area of your house is flea-proof! There are four major stages of the flea life-cycle; egg, larva, pupa and adult. Females start to lay eggs within two days of their first meal, and can lay over 500 eggs within just several months. 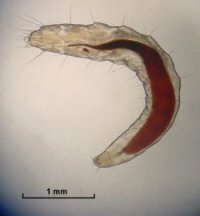 As the adult fleas are ready to emerge, they rely on blood from their hosts for their meals, but in situations where no food is available, the fleas can last up to two months without eating. The flea’s well-structured, dual-function mouth is capable of biting the host and injecting its saliva into the bite. This means the flea can spread various pathogens and diseases from body to body. So you’re probably wondering how we can solve your flea problem. Here are some hints and tips to get your home flea-free! The first step is to get rid of as many fleas, eggs, larvae and pupae as possible from your home. Vacuum the entire house making use of the nozzle attachment and attack every corner, skirting board, carpet, rug and under every piece of furniture, bed and pet bed to make sure you don’t miss a single place the fleas could be hiding. The vibrations from the vacuum will also stimulate the developed fleas to come out of their cocoons making them easier to be captured when repeating the vacuuming process. This is especially important as the flea cocoon is water-tight and will be unaffected by any insecticides you may lay down. Once vacuuming is complete, you must make sure the vacuum bag or contents of the dust barrel are properly disposed of to prevent the fleas from re-entering your home. 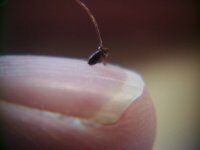 Products such as insect growth regulators (IGRs) and insect development inhibitors (IDIs) can be used to alter the life cycle of the fleas, stopping them from developing to maturity and therefore removing the ability to lay eggs. Popular IGRs include methoprene, hydroprene, and piriproxyfen. It is important that any insecticide you use includes one of these active ingredients. This should be sprayed on every carpet, in every corner and under every piece of furniture. You should then prevent yourself from vacuuming your home for a week to allow the insecticide to carry out its residual effect. The first step in combating fleas on your pet should involve shampooing. Some shampoos contain insecticides such as pyrethrins, pyrethroids and deltamethrin which kills fleas immediately. Additionally, dried blood and skin flakes are removed which limits the food source for fleas. Once your pet has been cleaned and dried, you should apply a top-spot treatment to your dog or cat’s back, between the shoulder blades. The active ingredients in this treatment are absorbed into the skin’s oils and prevent fleas from making your pet their new home. This is much safer for both humans and your pet as opposed to the more traditional methods of flea collars and powders. Popular brands of the top-spot treatment include Advantage and Frontline. This can be applied once a month until the flea infestation from your home is fully eradicated. At this point, the majority of the fleas should be removed from your home and pet, but you may still notice some re-appearing. These will be the newly released fleas from their cocoon stage during your flea attack. The above methods should be repeated, making use of your ultimate weapon – your vacuum cleaner! Watch your pet in case he or she beings to scratch and clean their bed regularly. Your home should be totally flea-free after two or three weeks of careful flea prevention and removal, and providing your pet does not come into contact with another flea infested animal, your home should be free of fleas for the foreseeable future! Please note that in severe cases of flea infestation, professional help should be sought and a visit to the vet is imperative.